1Cook noodles according to package directions; drain well and set aside. 2Return hot, empty pan to low heat on stove top and melt butter. Add ham and heat, stirring frequently, 3-5 minutes. 3Add water and country gravy to ham, and stir until thick and bubbly. 4Stir cheddar cheese into gravy and ham mixture; then stir noodles into gravy. Cook’s Tips: If you don’t have country gravy handy, use 1 package dry country gravy mix and increase water to 2-1/2 cups. 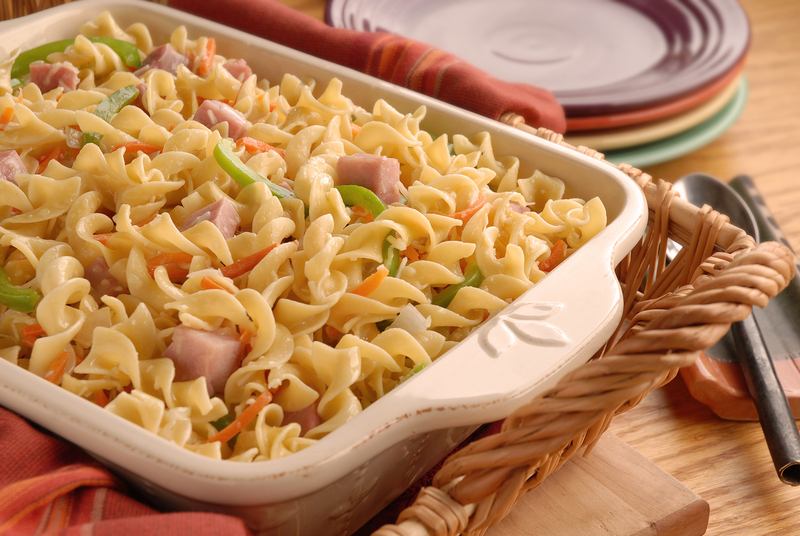 To add veggies, add frozen peas or broccoli to pan with the ham.